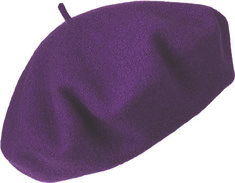 Wool Felt Berets feel soft but are designed to be strong and durable. Great for traveling. The material is 100% natural wool felt so it keeps you cozy and warm in any weather. This beret is generous enough to provide full coverage of your hair or scalp.